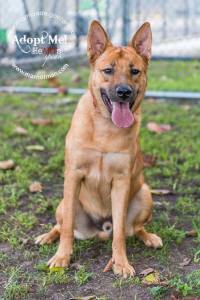 Ruckus is available for adoption through Miami Dade Services (MDAS). He is a graduate of the Second Chance Dog Training Program, a partnership between MDAS, Applause Your Paws, and Miami Dade County Corrections. 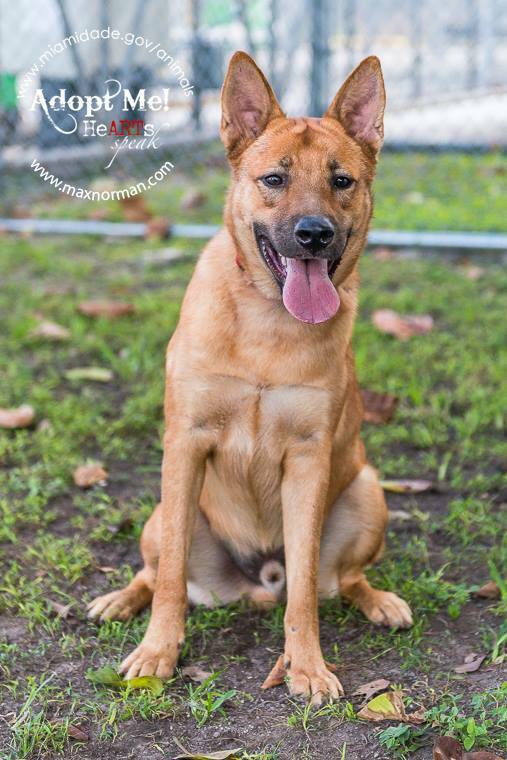 Ruckus is a 1 year old German Shepherd Mix who currently lives at the “Stockade,” a Jail in Miami Dade-County. Ruckus and his inmate handler earned their AKC Canine Good Citizen title and training under the instruction of Dee Hoult, Head Trainer of Applause Your Paws Inc. Ruckus is a high energy shepherd who will require an active home with yard to run in or an active human who can keep up with his boundless drive and energy. He absolutely LOVES to play ball, and will do anything to earn the right to fetch. Ruckus truly does want to please, and is also very affection driven. He does this quickly little smiley face when you are giving him love. Sometimes we think that Ruckus wishes he could live inside you — because he snuggles up so close to get affection that at any moment he might just start to melt into you. He loves his tummy rubbed, and likes to give kisses (with permission of course!). Ruckus is also infamous for wanting to hug you as you walk away. He is great at sitting politely on command to be petting, but as soon as you turn to walk away he’ll reach out his paws as if to say “don’t go, I love you!” Ruckus is going to make someone a GREAT dog. Ruckus would do great in a home with older kids, and and and and active family.